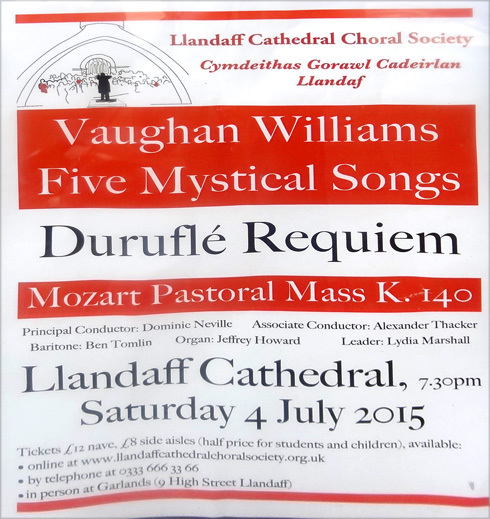 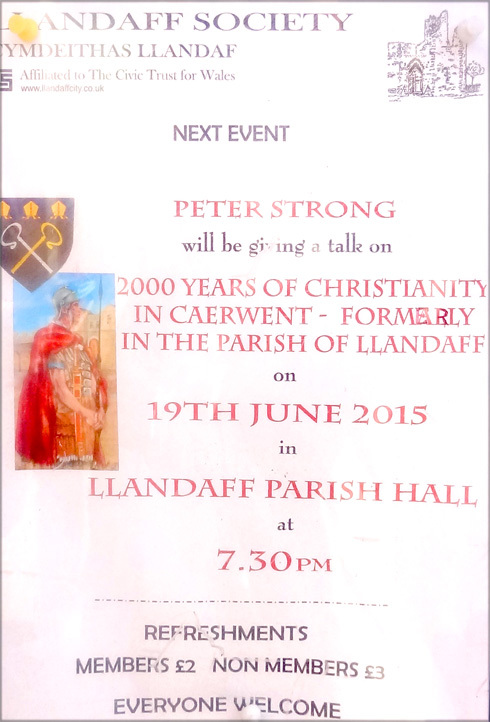 Peter Strong addresses the Llandaff Society as he recounts the history of Christianity in Caerwent on 19 June at Llandaff Parish Hall. 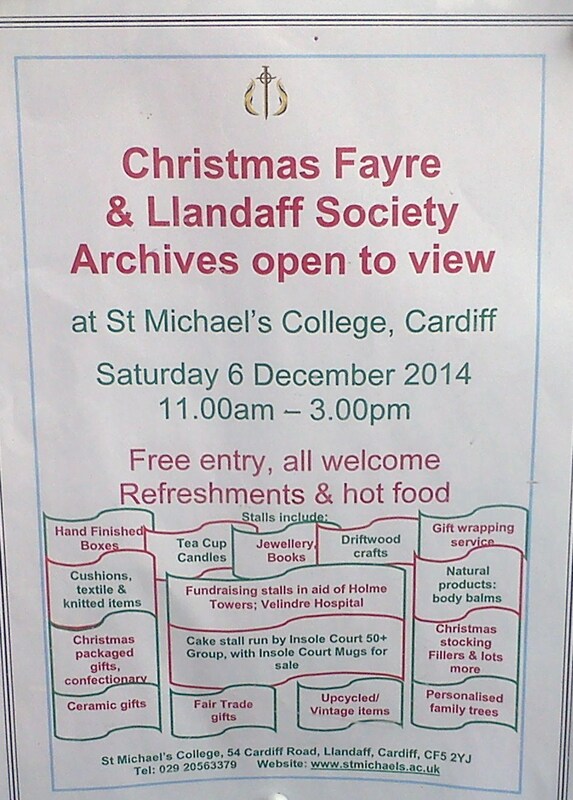 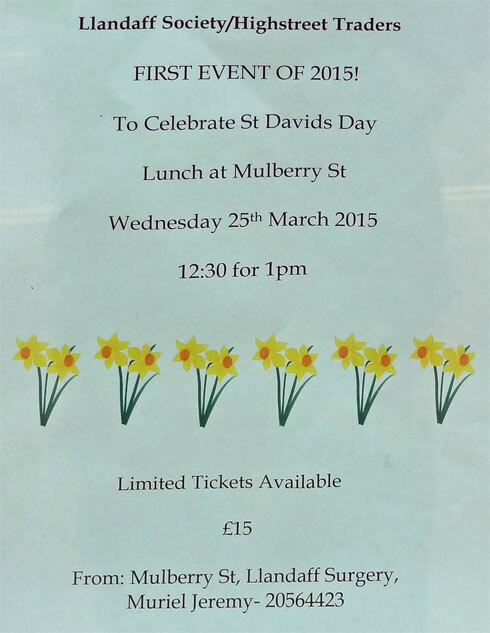 Local historians can take a peek at the Llandaff Society’s extensive archive of records and photographs of Llandaf during this Christmas Fayre at St Michael’s College on Saturday 6 December 2014. 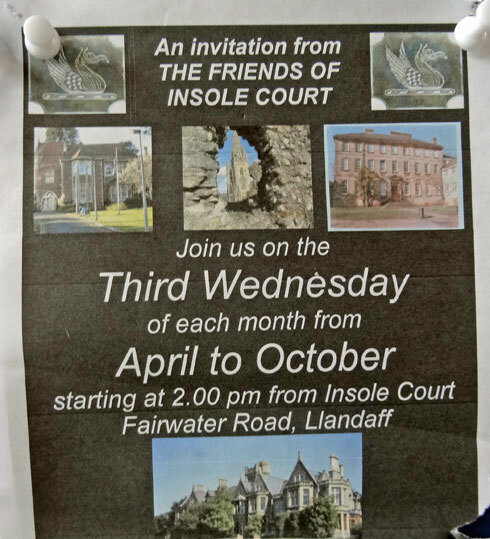 If you’d like to give your time and volunteer with the Friends of Insole Court, you can turn up there at 2pm on the third Wednesday of every month over the summer.